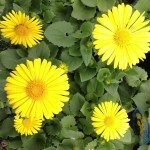 Vigorous, fast growing, available in numerous flower types. Outstanding addition to the flower border or container garden. An old fashioned favorite and superb cut flower. Silvery lilac-pink blooms are supported by thin stems. These low growing waterlily flowers range from 4 to 6 inches in diameter. Blooms spring and fall. Leaves are rich green. 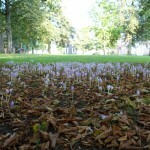 Bulbs must be lifted from the ground in zones 7 and lower. Plant dahlia tubers once soil has warmed and there is little chance of frost.